Steve is Vice President and Deputy General Counsel, Human Rights, Microsoft Corporation, contributing to development and interpretation of company-wide policies that support advocacy for Rule of Law and respect for human rights in the conduct of the company’s business across the globe. 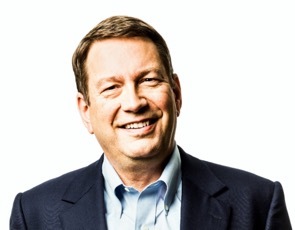 In order to advance company and industry initiatives and public-private partnerships to make the global internet safer and more trusted, Steve works closely with colleagues across Microsoft, and with external parties -- companies, academics, investors, civil society, and governments -- throughout the world. In his external engagements Steve champions principled solutions that meet competing concerns in a manner salutary to evolution of international laws and norms. Since joining Microsoft in 1997 Steve has served in a variety of roles, including as Vice President and Deputy General Counsel for China strategy, and as the senior legal and corporate affairs executive for key Microsoft product groups, including Windows Client, Microsoft Office, and Entertainment and Devices (Xbox). A graduate of the University of Washington, Oxford University and the Yale Law School, Steve participates on the executive committees of a range of external organizations, including the Seattle Chamber, the Global Network Initiative, the International Bar Association Media Law Committee, and the Association of American Rhodes Scholars. Steve is fluent in English and Russian.